*All prices already include prevailing government taxes and administrative charges but maybe subject to additional fees charged by the ticketing agent. PHASE 1 SALES HAVE ENDED. PHASE 2 SALES HAVE ENDED. Please read the CONCERT TICKET FAQ before making your purchase. + I ♥ Anisong autograph chance! VIEW HOW YOU CAN BALLOT! EARLY BIRD SPECIAL SALES HAVE ENDED. ELEVENIA : click the links to buy now! Book my Show : BUY NOW! Ticket types available for sale on-site at event venue is subject to availability. All tickets bought are redeemed in the form of wristbands. You can redeem Exhibition-only, Exhibition+Stage and concert wristbands before the actual day. For Exhibition-only, Exhibition+Stage and concert VIP and GA, entry is done via a wristband. You will need a wristband to enter the event and/or the concert. Upon purchase and/or redemption, you will be given all the wristbands that you have purchased. As wristbands cannot be taken off after being tightened, please do not wear your wristband until you are ready to enter the event. No replacements will be given under any circumstances. Photo ID (ID card/ Passport/ Driving license/etc) used to purchase ticket. Name must match e-voucher. Credit card used to purchase ticket, if a credit card was used for the purchase. Photocopy of the Photo ID (ID card/ Passport/ Driving license/etc) used to purchase ticket. Name must match e-voucher. 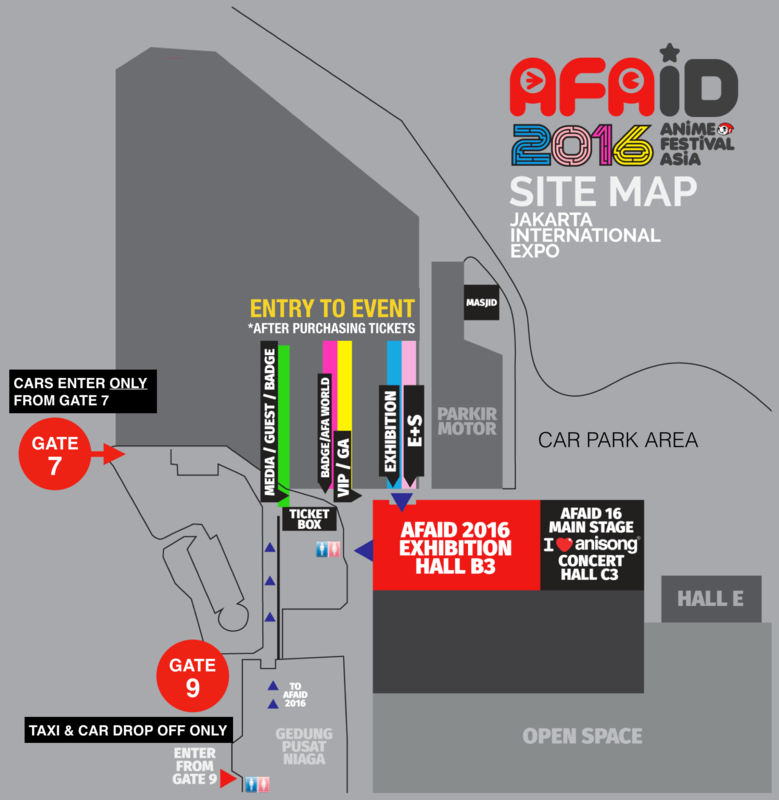 The concert entrance is located inside of the exhibition grounds!